I’m often asked at what age a child is allowed to testify in court as to which parent the child wants to live with. Unfortunately, in Florida there is no clear cut answer to this question. For a child to testify in court, especially as to which parent the child wants to live with, a Motion has to be filed with the court and the ultimate decision is made by the judge. Judges have different opinions about whether children should testify. Even if a child was 17 years old a judge wouldn’t necessarily allow him/her to testify. The rationale behind this is that the court system in Florida doesn’t want to place a child in the middle of a custody battle. One of the biggest issues a judge considers in determining custody (now referred to as “majority time-sharing” or which parent the child “primarily resides with”) is whether or not a parent has been discussing the court proceedings or has otherwise made the details of the court proceedings known to the child(ren). Subjecting a child to testifying in court and deciding which parent he/she wants to live with places a child directly in the middle of the custody conflict which can be very emotionally damaging for a child. If the child testifies that he/she wants to live with the Father, for example, then that child’s relationship with the Mother may forever be damaged. Furthermore, the Mother in this example may punish the child for testifying “against” her. As a Tampa child custody lawyer, I do file Motions to allow a child to testify if my client wishes to do so; however, I always warn my clients that in my opinion even bringing the motion before the court could look unfavorable because it illustrates to the judge my client’s willingness to place the child in the middle of the litigation. Another reason judges are often hesitant to allow a child to testify is that the judge’s decisions are based on what is in the best interests of the child, and a child may not know what is in his/her best interest. Sometimes a child has been “coached”, or told to testify a certain way by one of the parents and is afraid to testify contrary to what that parent has told the child to say. Secondly, a child may base a decision regarding which parent he/she wants to live with on circumstances that are pleasing to the child but not necessarily in the child’s best interests, such as which parent is more lenient or which parent is stricter as to curfews, homework, bedtimes, etc. I find that usually other witnesses can be called or other evidence submitted that is sufficient to use in the place of a child’s testimony. For example, if a child was going to testify that he/she is involved in extracurricular activities in school and doesn’t want to leave those activities, I can easily prove the child’s involvement in these activities and the judge can reach the conclusion that the child is happy and well adjusted in his/her school. In another example, if a child would be testifying that he/she has a bad relationship with the other parent, that can usually be established by other witnesses, including both parents’ testimony. However, there are some cases in which nothing can replace a child’s testimony, such as cases in which physical and/or emotional abuse is involved. If there is an allegation of abuse, a judge is more likely to allow a child to testify, however it’s important to remember there still is not an exact age that the court has to hear the child’s testimony. Most judge’s have a presumption against a child testifying, but the older the child is and the stronger the allegations are as to abuse or similar issues, the more likely it is for the judge to allow a child to testify. If a judge does allow the child to testify, the judge may simply take the child to his/her office, sit down with the child and ask him/her questions. The judge can usually ascertain the information he/she needs to know by asking many questions about the child’s relationship with his/her parents, what activities the child does with the parents, etc. 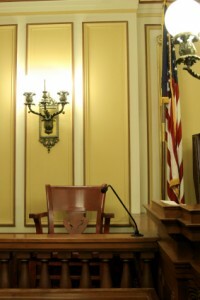 Usually the judge can determine from these questions what the child’s preferences are without having to ask directly “which parent do you want to live with.” Even if this testimony is conducted outside the presence of the parents, there’s usually a court reporter present and the child’s testimony is still recorded for either parent to access. An alternative to a child testifying in court, and one that I use frequently, is to have the child see a doctor, counselor or have the judge order a custodial evaluation (also known as a home study). If this is done and the doctor, counselor and/or custodial evaluator is determined to be an expert witness by the judge, depending on many factors, the child’s testimony may be admissible through these individuals. A doctor, counselor and custodial evaluator may also be able to state his/her opinion as to which parent the child should live with and provide specific information as to how that decision was reached. Please note that this may not be applicable in some cases and it is ultimately up to the judge to determine what evidence will come into court and what weight the judge will give the evidence. There are many factors that apply in determining what testimony and evidence can be used in court. Allowing a child to testify in a custody case is not a decision that should be taken lightly due to the emotional toll it may have on the child and the reprucussions the child may face because of the way he/she testifies. Because of this, based on my experience in the Tampa Bay area, judges in the Tampa are are extremely hesitant to allow a child to testify in court. There is specifically one judge that openly has a policy of prohibiting children’s testimony altogether and has never allowed a child to testify. The decision of whether or not the child shall testify is ultimately made by the judge and based on a substantial number of factors. Although there is no specific, clear cut age in which a child can testify in Florida as to which parent he/she wants to live with, the older the child is and the more serious the issues are in the case, the more likely it is that a judge will allow the child to testify as to which parent the child wants to live with.